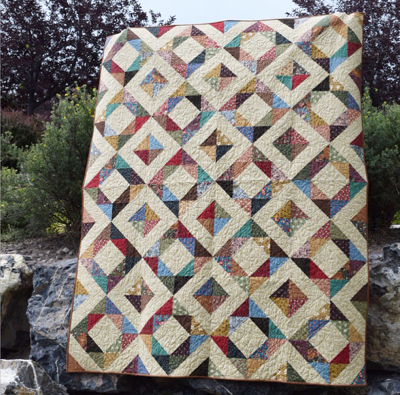 I love this stash busting quilt! 320 half square triangles made completely from fabrics that I already had! My husband has been eyeing this quilt since I pieced it last fall and I finally gifted it to him this morning. Since the beginning of the year I have made quilts for husband, our four children, our daughter-in-law, granddaughter, and my mother. I love that they treasure the quilts that I make.